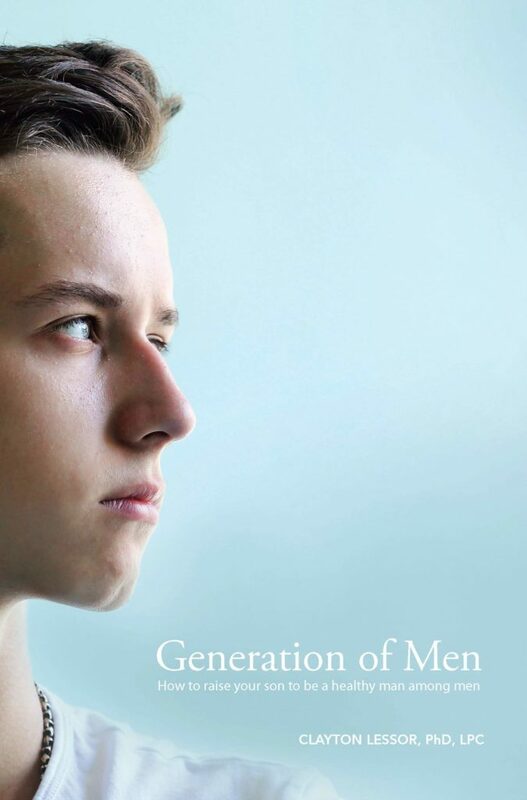 From Dr. Clayton Lessor, Founder of The Quest Project New book, Generation of Men, written by Clayton Lessor, PhD, LPC, addresses the problem we have with our boys – the next generation of men. Serving as a how-to guide for fathers struggling to connect or reconnect with their sons, Dr. Clay provides fathers with the framework to use his proven program, The Quest Project®, designed to provide immediate help and hope to fathers and sons. Generation of Men reveals what our boys need and what they are missing. It discusses the importance of the father-son relationship, depicting real-life examples of broken father-son relationships through case studies. Most importantly, it introduces a boys’ modern-day rite-of-passage towards becoming a man. Help Your Son Grow into the Man He’s Meant to Be. There’s never been a more challenging time to be the mother of a teenage boy. Our young men are currently in crisis, falling far behind their female counterparts in school and in life and failing to learn the lessons they need to survive and thrive in the adult world. I highly recommend this book for all who are struggling to understand boys. And especially to those of us with sons, as we search and pray for guidance to help them succeed… Clay has a keen understanding of what young men go through in these chaotic times. He can help us understand their needs and their motivations.